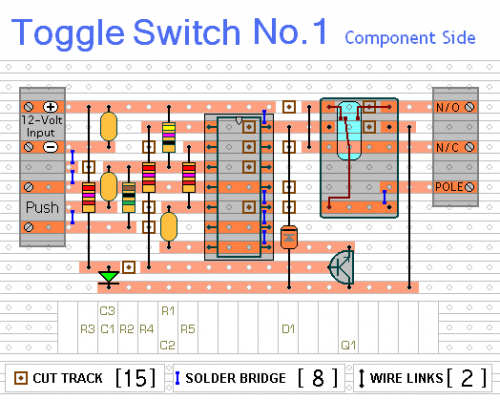 This simple circuit will energize and de-energize a relay at the push of a button. 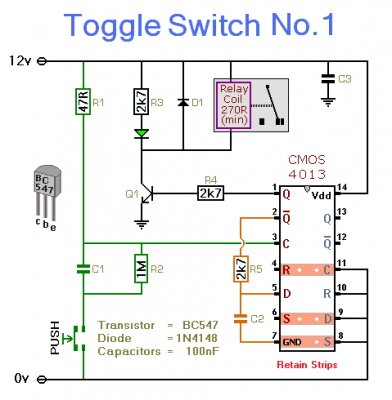 Any type of momentary action push-to-make switch can be used. Pushing the button once - will energize the relay. And pushing it a second time - will de-energize the relay. I've drawn the circuit with a single pole relay. But you can use a multi-pole relay if it suits your application. Only one half of the Cmos 4013 is used. 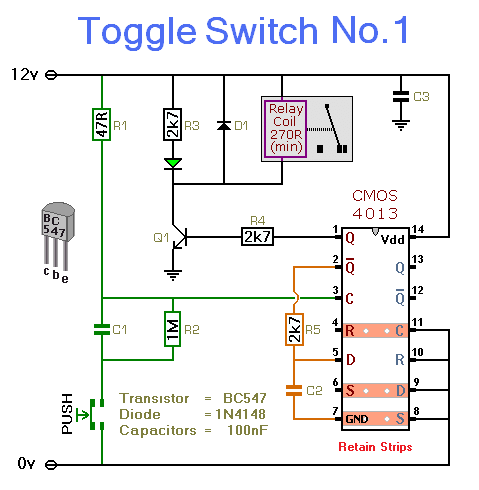 So you could construct two independent toggle switches with a single IC. The circuit will work at anything from 5 to 15-volts. 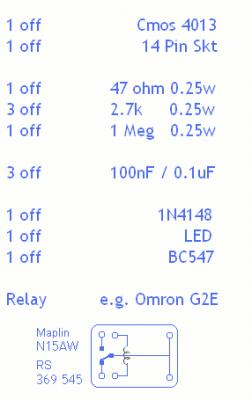 All you need do is select a relay with a coil voltage that suits your supply. The LED provides a visual indication that the relay is energized. In effect - it tells you whether the switch is on or off. It's not necessary to the operation of the circuit. If you wish you may leave out R3 and the LED.